I have been going back through old files on drives and what-not. I’ve lost some card images from years ago and I am trying to back everything up. There just seems to be a lot of files from years ago. This image is of a Babe Ruth sketch card I did sometime around 2005. I think I started messing around with making sketch cards not long before this card was made. 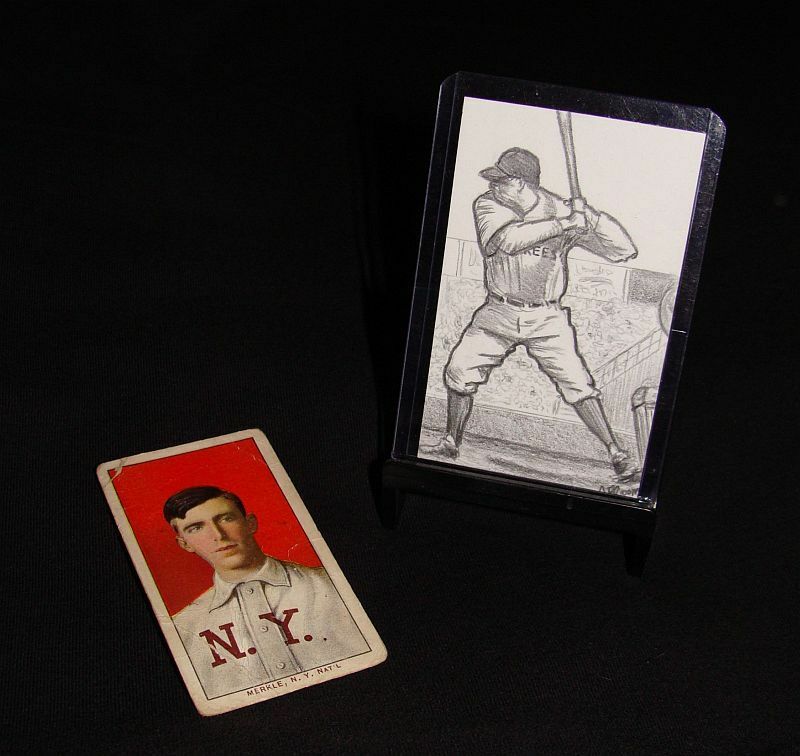 The T206 card is there for size reference. This was a small size sketch I was trying out. I usually don’t share old stuff like this but I had forgotten about this image and thought I would share it. Some really old sketch cards I did are just not good.